Recently, four Franklin County Sheriff’s Office deputies graduated the 25th Entry Level Law Enforcement Session at the Piedmont Regional Criminal Justice Training Academy. These men were hired many months ago, but were on very limited duty until they graduated this state mandated academy. Now that this is completed, they each will go through a time of field training at FCSO and then moved out to patrol Franklin County. 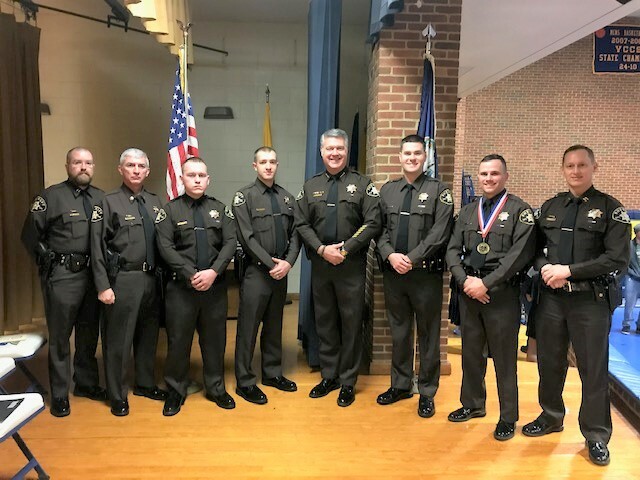 Pictured from L-R: Corrections Captain Duane Amos, Major Mike Bowman, Graduate Deputy Dillon Smith, Graduate Deputy Jonathon Scott, Sheriff Bill Overton, Graduate Deputy Grant Wickline, Graduate Deputy Jamie Carr (Carr also won the class physical fitness award), and Patrol Captain Justin Sigmon. 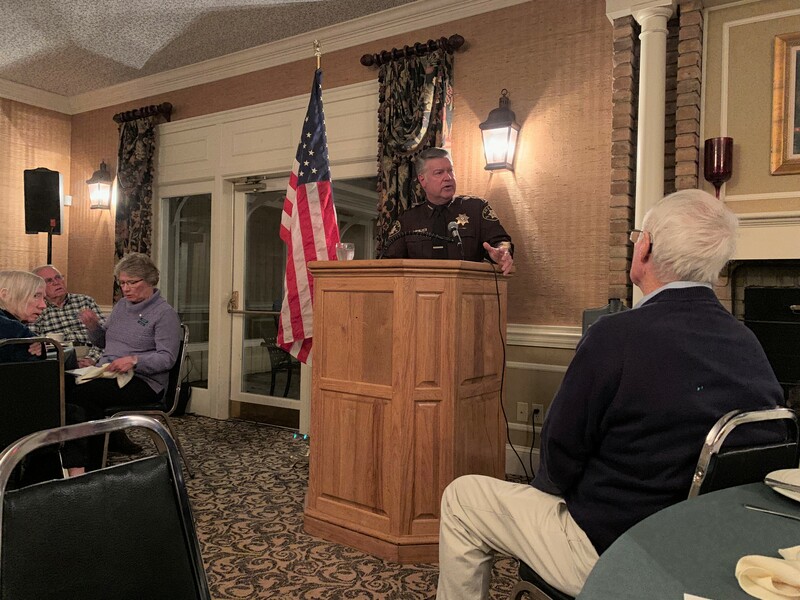 On Thursday night, January 10th, Sheriff Bill Overton was the special speaker at the SML Lions Club held at The Waterfront Country Club. The Sheriff spoke on the growing concerns of scams targeting the elderly and on the achievements and future direction of the Office of the Sheriff. Thanks to the SML Lions Club for inviting FCSO down to speak. 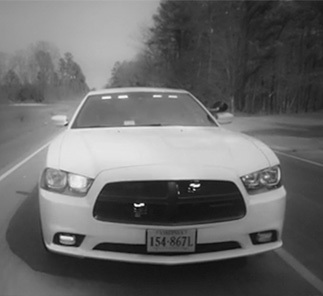 On Tuesday January 8, 20189, Lt. Terry Dameron (photo) and Sgt. Steve Grantham dropped by Step, Inc and read to the children in a couple of classrooms. Lt. Dameron stated how important it is to have these young ones see law enforcement in a positive light. “Community policing has many forms and shapes. 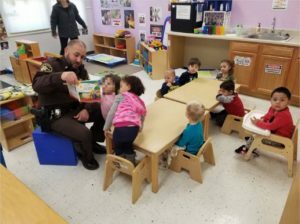 This is just one level of activity the Office of the Sheriff is involved in on a weekly basis,” Dameron said. Lt. Terry Dameron reading to kids at STEP, Inc. Recently, Franklin County Sheriff Bill Overton spoke at the Chamber of Commerce’s monthly meeting in Rocky Mount. Overton spoke on businesses being proactive doing safety assessments, knowing your employees and their stress. 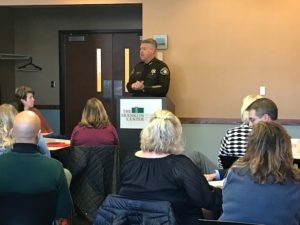 The Sheriff advised those leaders in attendance that the Sheriff’s Office is at the ready to come in and produce an Active Shooter Training, plus he advised the group of his business check program. Sheriff Overton speaking at the Chamber of Commerce in Rocky Mount. 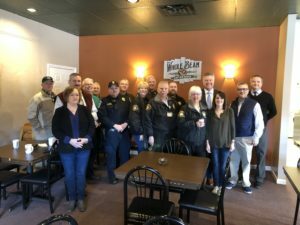 On Tuesday, January 15th, The Whole Bean Coffee House in Rocky Mount held their annual “Coffee With A Cop” event. Local law enforcement and FCSO COPS program members were present and had an opportunity to interact with the patrons. Thanks to Whole Bean owner, Kylee Robinson and all her great staff for making this event special!